We wanted to share some of our favorite clutter busters to incorporate in your holiday decorating to help your home stay organized. We love using multi-purpose items to keep our home tidy and clutter free throughout the year so we strive for Clutter Free Holiday Decorating. 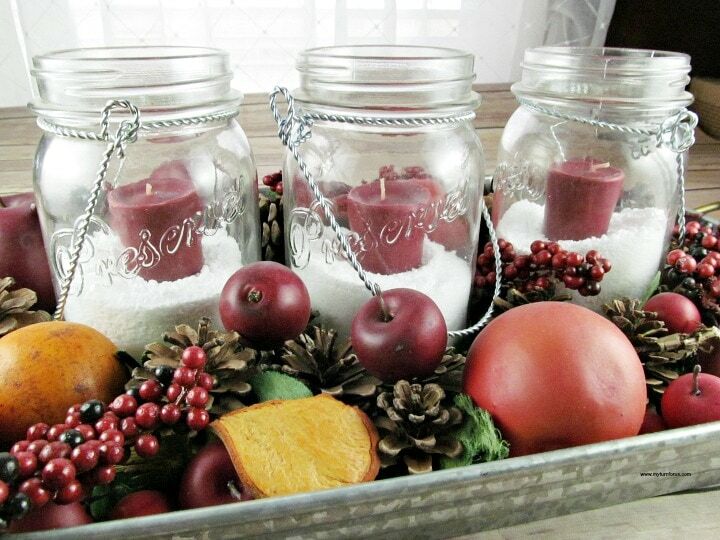 Luckily, there are so many lovely ways you can add holiday cheer to your home that are cheap, easy, and mess-free. These clutter busters are often items you could use all year long. The trick is to swap out functional items that also double as decorative touches, or to use pieces (often smaller or hung up high) that are light and don’t get in anyone’s way. And many of these clutter busters incorporate fun DIY ideas that will add an even more personal touch to your home. 1. Edison Style String Lights– Vintage lights like these can look nice hanging almost anywhere, place them in your mantel decor, over a kitchen window or even above a guest bathroom mirror to serve as night lighting for visitors. 2. Metal Baskets– Use them for a display of your holiday baking or keep on hand for those last-minute gifts. 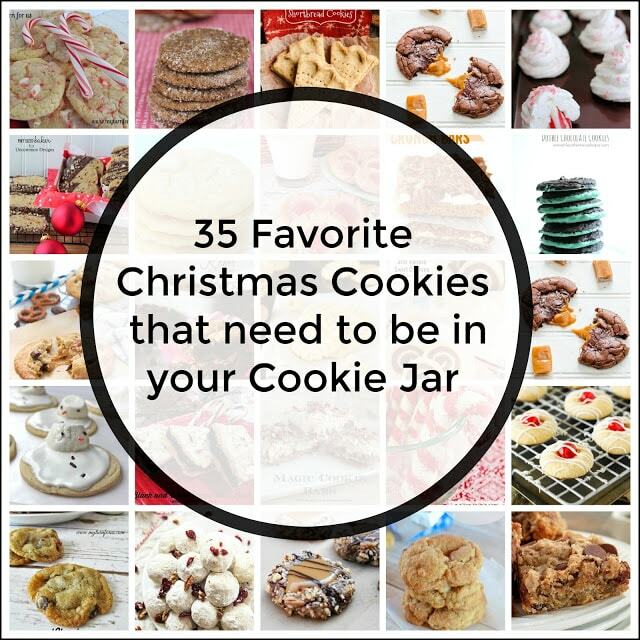 Fill them with baked goods, personal items or cold weather gear such as mittens, beanies etc. These are probably the most popular clutter busters. 3. Metallic Washi Tape– to decorate disposable cups, gift tags, or name cards. 4. Round Rustic Tray– Never underestimate the versatility of a simple tray; use it to serve food, turn an ottoman into a drink-safe surface. 5. Metallic Gold Spray Paint– One of the quickest ways to make anything look festive is to spray paint it gold or silver. It’s an especially pretty look when applied to foliage, like bare branches, pinecones, or holly. Then just put your gilded greenery in a vase, and you have a beautiful arrangement that’ll last all season. 6. Christmas Card Holder– Most people have trouble figuring out how to display their holiday cards in an attractive way. This string of lights emits a warm white light that is not too bright and has photo clips to hang the cards or photos. 7. Multi-Colored Baker’s Twine- Apart from tying up treats and other packages, you can get really creative with the twine. String pine cones along a length of it for a garland, or even use it to create some Christmas-themed string and nail art. 8. 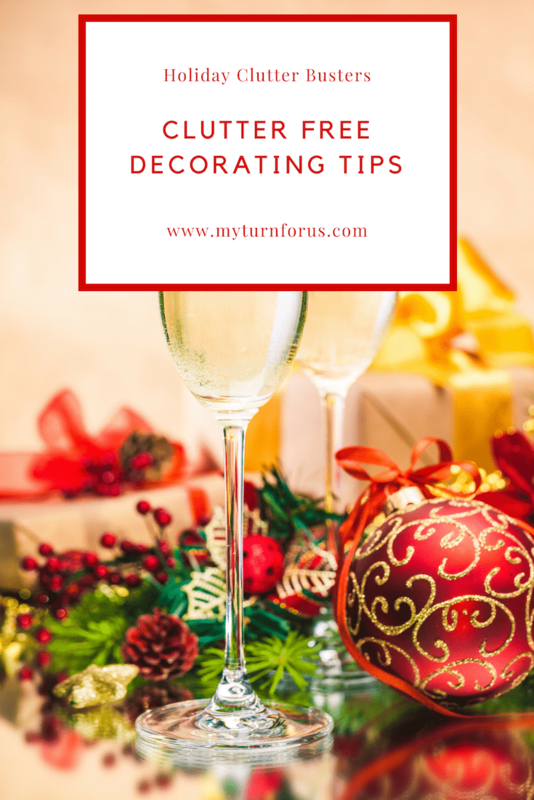 Snowflake Decals- One of the best ways to reduce the clutter of holiday décor is to use smaller, flatter pieces that don’t cause a mess or get in the way. Elegant decals like these are a welcome addition to any window. 9. Cinnamon Pinecones– Several delicious-smelling baskets or bowls of pinecones is less messy and a safer alternative to candles for scenting your home for the holidays. 10. Set of Two Lantern Centerpiece– This set of two 12″ hight clear glass classic style lanterns can be decorated for each holiday or left plain during the offseason. Thanks for sharing these wonderful tips!